WPblab has been running since 10/5/2015 and a lot has changed since we started the show. Back then it was a Q&A show where an expert (Jason) and a novice (Bridget) would discuss topics and bring in our audience live on the show to ask questions relating to that topic. Technologies have come and gone and we have changed the format to be more social media, marketing and very engagement heavy. We love talking about the topics we come up with, planning out the items of interest for the upcoming show and then hitting record and streaming it live on YouTube and then making it available as a podcast. 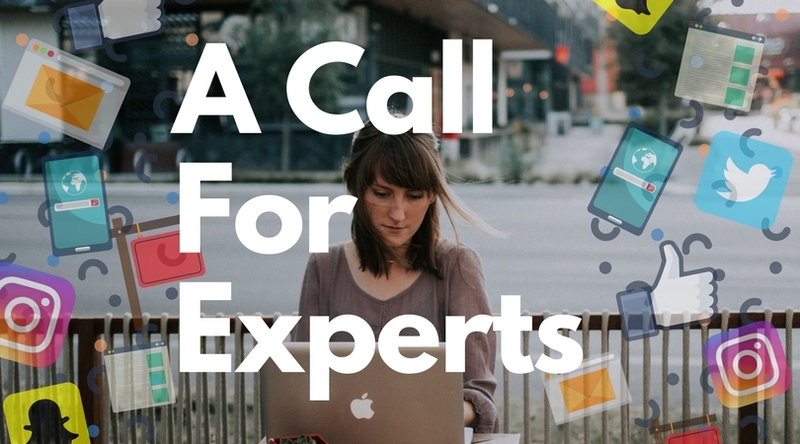 Why the call for Experts? As I mentioned above, since we moved from being a general WordPress Q&A show to now a very marketing focused one we've found that by interviewing experts in the various marketing practices that our guests, as well as us the hosts, are learning a ton from these guests. Bridget is very much so a marketing expert and a twitter nerd. I love technology and providing the glue to make them work with WordPress and other 3rd party services. Adding in a few more experts especially folks that are higher focused on specific types of marketing allows for Bridget and I to bring a certain level of discussion that a novice wouldn't have if they were talking to the expert. We're looking for folks to jump in and talk with us, are you an expert in your marketing field? We asked Morten from LinkedIn to come on the show to talk with us about the ethics of marketing. What an eye opener this discussion was. Watch a couple of minutes of it, finish the rest of this post and then come back and watch it all, so good! Isaac from GoDaddy came on the show to share his story about maintaining a personal brand while also maintaining GoDaddy's. It was a pleasure to have him on the show talking about many aspects of marketing, becoming YouTube famous and working with a big brand. We had the pleasure of having Christine Chirinos, Partner of Caldera Labs on the show talking with us about Data-Centric Email Marketing. We discussed Mailchimp, CovertKit, segmentation, and how she uses all of these for her business selling a form plugin for WordPress, Caldera Forms. We spoke with Robert a social media marketer and SEO on creating visibility and authority through social media. Having an expert like Robert on the show allowed us to discuss SEO which is something that neither Bridget or I are experts in. Robert was a great resource to have on the show representing both disciplines and explaining to our audience how they interact and work for his clients. Our show WPblab gives you a live audience to interact with using our online chat system as well as having the show made available both as a YouTube video (live and playable available anytime) but also as an audio podcast. You can check out our viewer and listener stats on our sponsor page to learn more about the show and our audience. Since our show is very social media friendly we tend to send out tweets during the show, we have a team of folks writing detailed show notes and we're pretty good and promoting the episodes after they are aired and are on YouTube and the podcast directories. We provide a set of Participate Guidelines for people to follow allowing for a high-quality video and audio. Ok, you sold me! How can I be on the show? Our goal is to invite you to be on episodes that relate to your job type. We have 2 mailing lists: Participants that want to be on one of our shows and viewers that just want to be notified that a new show is going live and has been posted. Which are you? I build community around me, get me on Community Connections! I'm interested in just being notified a new show was posted. Do you have a topic idea we should discuss? Take a minute and fill out this form letting us know you are interested in being on the show. We'll contact you and we can work out the details.